Our Raymore location is at 313 N. Dean Avenue, Raymore, MO 64158. 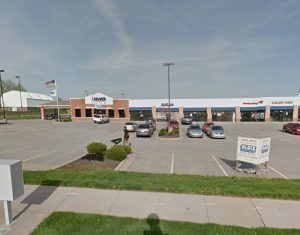 Our Raymore center is located south of the city off of 71 Highway. Exit on the Belton/Raymor e exit (58) and go east 5 stop lights to North Dean Rd. We are in the Raymore Galleria Shopping Center. Other businesses nearby are Walmart, Office Max and Lowes. This location is very easy to find and is easy to get in and out. The staff at Raymore want to ensure that every client is always moving toward their personal weight loss goal. Losing weight is an individualized process as the same approach does not work for every person. The Raymore team works one on one with each client to encourage them and keep them on track to succeed. Do you need to lose 20, 40, 100 pounds? Call Raymore today to get started! Make an appointment at our Raymore weight loss center today!